If you're a fan of practicality dressing when it comes to your personal style, you'll love this on-trend pairing of a black field jacket and a black beanie. To add elegance to your look, finish off with black leather casual boots. If you prefer practicality dressing when it comes to fashion, you'll love this stylish combo of a dark brown parka and a DSQUARED2 branded patch beanie. Opt for a pair of green athletic shoes for a masculine aesthetic. If you prefer relaxed dressing when it comes to fashion, you'll love this simple pairing of a navy crew-neck t-shirt and a DSQUARED2 branded patch beanie. 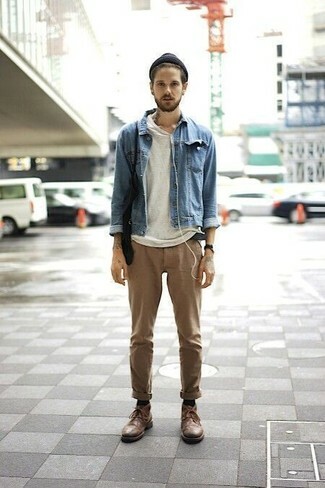 Channel your inner Ryan Gosling and choose a pair of tobacco suede low top sneakers to class up your ensemble. We all want comfort when it comes to dressing up, and this combination of a black overcoat and a black beanie is a perfect example of that. Amp up the cool of your getup by completing it with black leather loafers. 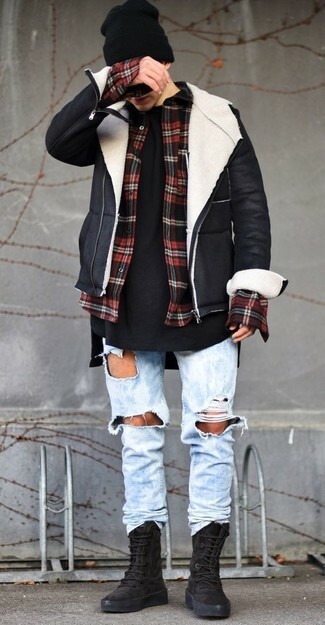 We're all outfiting for comfort when it comes to dressing up, and this combination of a blue denim jacket and a black beanie is an amazing example of that. Up the ante of your outfit with brown leather desert boots. 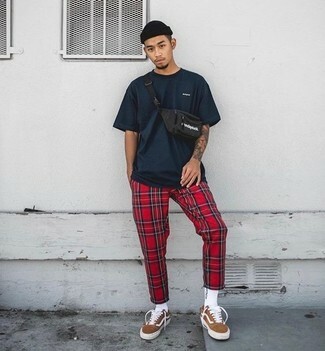 If you're a fan of relaxed dressing when it comes to your personal style, you'll love this stylish pairing of a black long sleeve shirt and a DSQUARED2 branded patch beanie. 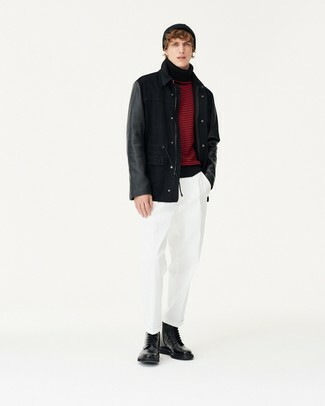 Up the cool of your outfit by completing it with black suede desert boots. If you're all about relaxed dressing when it comes to fashion, you'll love this simple combo of a white tank and a DSQUARED2 branded patch beanie. 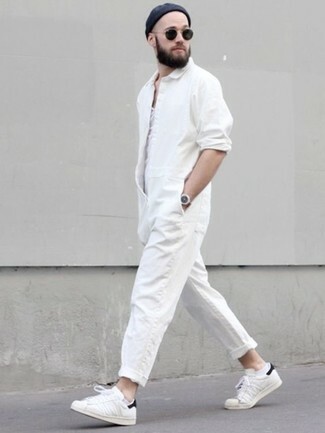 Kick up the cool of your look by finishing off with white low top sneakers. We all seek comfort when it comes to dressing up, and this combination of a black quilted bomber jacket and a black beanie is a practical illustration of that. 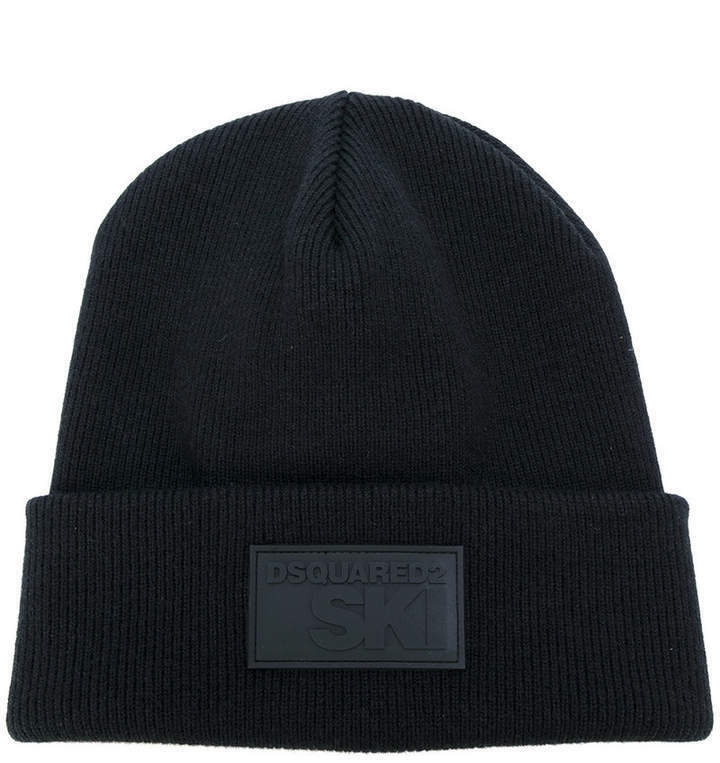 Pair a black and white shearling jacket with a DSQUARED2 branded patch beanie for a weekend-friendly look. 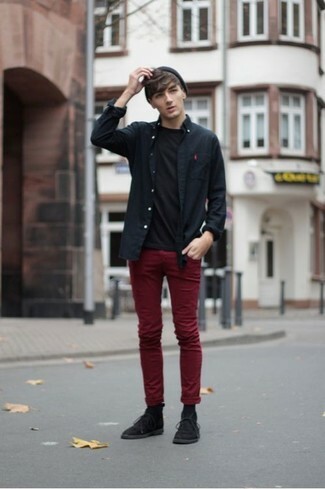 Black suede high top sneakers complement this look very nicely.